OWNER SAYS SELL. They will consider all offers. They may need some relief from FREEDOM BANK who currently holds an ASSUMABLE LOAN. Great potential for an FHA 203K Loan. 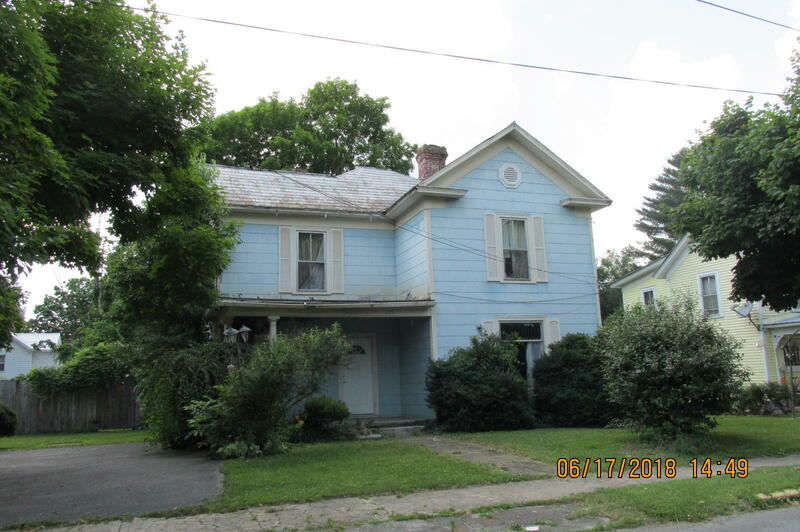 Wonderfully solid older two story home needs TLC to bring it back to its glory. Large rooms, high ceilings, two fireplaces, one in dining room, pine walls open concept in kitchen and dining room area. Solid wood floors, stain glass window in foyer with Bannister leading to second floor. Potential for 4 bedrooms with one on main level front room. Great location in Alderson. Walk to all amenities and elementary school, Large completely fenced private back yard opens to alley along back line. Old greenhouse in rear yard.